1) Dragon attacks: The most common attack is 10 dragons, and 4 or 5 max balloons in your cc. You will always drop the loons after your dragons are taking fire from the defenses, and drop the loons as close as possible to the Air Defense. The goal of this method is to eliminate the air defense as soon as possible. So it's critical that the loon be placed correctly so they do not get shot down before they can do their job. Spell selection on this method is going to depend on the base layout. The most effective way, if you have level 5 lightning, is to drop an earthquake on one AD, and then 2 lightning spells. This will allow you to also carry 1 rage for the attack. However, you may also use 3 lightning, or even a combination of rage and heal, or in some cases 3 rages. There are some variations of dragon attacks where you can use a few hogs to take down an air defense as well. This would be done normally after the CC troops have been eliminated. If you wish to try this, you should practice it before attempting in war. Some dragon attackers have also added 5 of their own balloons to the mix, and one less dragon. Again, this should be practiced prior to attempting in war. 2) GOWIPE: The GOWIPE attack is a combination of Golem's, Pekka's, and wizards. Most players convert to GOWIPE when dragons are ineffective due to defenses. They take much practice to perfect, but once perfected are very effective. The standard troop mix for a GOWIPE is: 2 golems, 2 pekkas, 18 wizards, and the rest wallbreakers and maybe an archer or 2, and a MAX pekka in your cc. It is recommended that your pekka's be level 2 before you start relying on the GOWIPE. You may draw out the enemy cc troops first and double poison them, or you may simply run the attack. The method generally involves deploying them like this: drop 2 golems near 2 separate defenses as wide as possible where the most defenses are tanked. (that means covering the golems) Then immediate place an "umbrella" of wizards behind the golems. They will clear outside structures. Then drop your wallbreakers, and then start dropping pekka's. Spell selection can be either 2 heal and 1 rage, or 1 heal and 2 rages. You generally always will want a rage to place when the troops get near the townhall. 3) Hogriders: At TH8, you need at least level 3 hogs. And they MUST be healed. You will need a spell selection on 3 heals. Enemy CC troops MUST ALWAYS be eliminated before you start your main attack. The most effective hog combination is hogs and wizards. As the hogs work the base, you will need to place heal spells on them as they go. A hogrider's worst enemy is the big bomb. Many bases now have double big bombs as an anti-hog measure. If you hogs hit a double big bomb, there is no way to recover, they will simply all die. Generally speaking, a base that is susceptible to hogs will be a tightly compacted base, with not much space between structures. Spring traps will eject hogs as well. So when you see a lot of spaces, know that there will be risks with running hogs. Also, your wizards should be placed out of harm's way, which means the areas that the hogs have cleared would be safe. 1) Balloonians. This is a great attack for raids. However, they will almost never work in war. 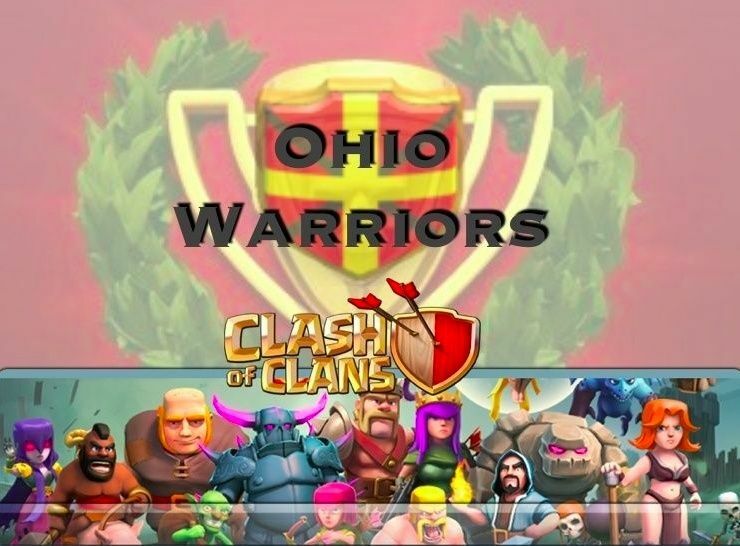 This attack method is, and has been for a while, BANNED from war in Ohio Warriors. 2) Air ground combo's such as dragons and Pekka's. These 2 troop types simply don't work well together. 3) any method that uses an excess number of archers and barbs, for any purpose other than eliminating enemy cc troops. 4) any method that does not have enough troops with the ability to engage air targets, unless you are sure you can bring down a cc dragon with a double poison. 5) Any attack with an empty CC, or any attack without all 3 spells.